The culture of Frontier Tutoring is best described by the things that drive us. We aspire to be the best in Alaska at enabling our students to achieve their ambitions, and we believe we can advance all of our stakeholders by doing so. Our actions are guided by our deeply-held values, and our success is dependent upon our ability to relentlessly execute against five critical success factors. 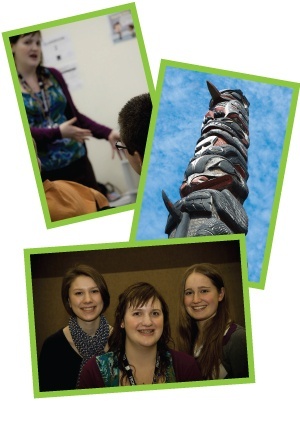 We will be Alaska’s largest, most respected, most effective educational services company. · Professionalism: We evidence our status as professionals through the deliberate way we conduct ourselves and our business. We strive to be regarded as trusted advisors by our students, customers, and colleagues. · Excellence: We are invigorated by doing great work, as well as by continuously improving our business. · Resourcefulness: We embody the Alaska spirit by implementing creative solutions to overcome our challenges. We are driven by a sense of professional urgency to deliver on our promises. · Integrity: We do the right thing, and we do things right. We are safe, responsible, truthful, and legal without exception. · Stakeholders: We care about people. We strive to achieve and sustain a business model that rewards employees for their contributions, provides customers with value for their dollar, and generates a reasonable return on investment for our owners. · Safety: Nothing is more important. We will have appropriate controls and procedures in place to ensure the safety and security of our employees and students. · Quality Team: We will recruit, train, and develop qualified employees who embody our values and find inspiration in our mission and vision. We will regard the caliber and cohesiveness of our team as a long-term investment and our most pronounced competitive advantage. · Quality Instruction: We will use our training, systems, and professional judgment to deliver educational services that are thoughtfully designed to engender student success. · Quality Service: We will deliver a reliable, high-quality customer experience characterized by caring, professional service. We will hold ourselves to the same standards of service for both internal and external customers. · Profitability: Our ability to create new opportunities for all of our stakeholders is dependent upon consistently generating reasonable profits from operations. Effective communication is the foundation of delivering exceptional instruction and service to our students, customers, and colleagues. Frontier Tutoring team members apply up to six sequential communication best practices, as applicable, to every interaction.